This feature in its entirety is called ‘Navigate on Autopilot,’ and it was initially supposed to launch sometime during 2017, but multiple delays held the functionality back. 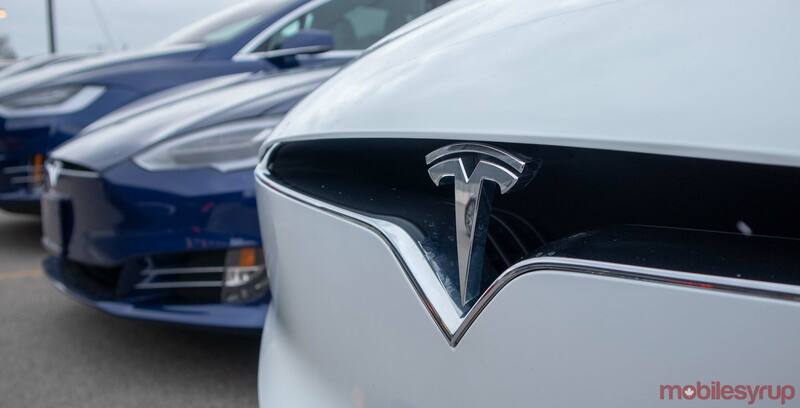 It was then marketed as a feature in Tesla software version 9.0, which was slated for release during the summer of 2018, but was delayed briefly yet again. Software 9 released on October 5th in Canada, allowing drivers to take advantage of a plethora of new features. The base version of Navigate on Autopilot launched in the U.S on October 26th. It requires a few inputs from the driver to confirm lane changes, but it’s a marked improvement over the original Autopilot since it adds almost automatic lane changing and On-ramp to Off-ramp support. Prior to the update Autopilot drove in a straight line and kept a safe distance from the other cars on the road. Drivers could change lanes with a tap on the indicator stalk — the stick that runs the signal lights and other features — but the driver needed to choose when they wanted to change lanes. Now, with Navigate on Autopilot, which is still in beta, the vehicle suggests when it wants to change lanes, and the driver either agrees or disagrees with a tap to the stalk. In the future, as the feature moves out of beta, the car will be able to weave traffic without any human interactions at all, according to a Tesla press release. The feature works on highways, and drivers can tell that it’s enabled when the lane they’re in on their in-car display highlights with blue outlines. By checking the outlines, drivers may see it curve to the right when the car wants to change lanes to pass slower vehicles in front of it.